HOUSTON – Drone services are enhancing and transforming jobs in a variety of ways. Everyone has seen drones shooting cinematic footage, or experimenting with package delivery, but some of the industries where UAS (unmanned aircraft systems) are helping out might surprise you. Older industries like construction, agriculture, insurance claims, and oil & gas are all moving to adopt the new technology, and seeing financial and safety benefits from the increased use of drones. Tellepsen Builders Preview from Arch Aerial on Vimeo. The construction industry has been perhaps one of quickest adopters users of UAS and UAS services. In fact, one of the most common requests we receive here at Arch Aerial is for progress photos & videos of a construction site. Previously, if a project manager, superintendent, or project owner needed progress photos, they would need to hire a manned aircraft, making projects like these fairly expensive. 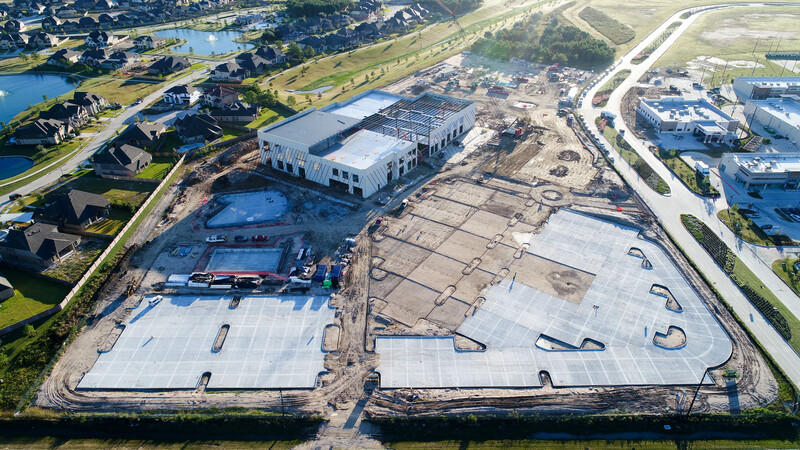 Drones have drastically cut the cost of progress photos, opening up the possibility for progress documentation on projects where that might not have previously been an option. Some of our clients, like Tellespen Builders, find progress photos so valuable for client communications that they’ve made it a part of their process for every single project.